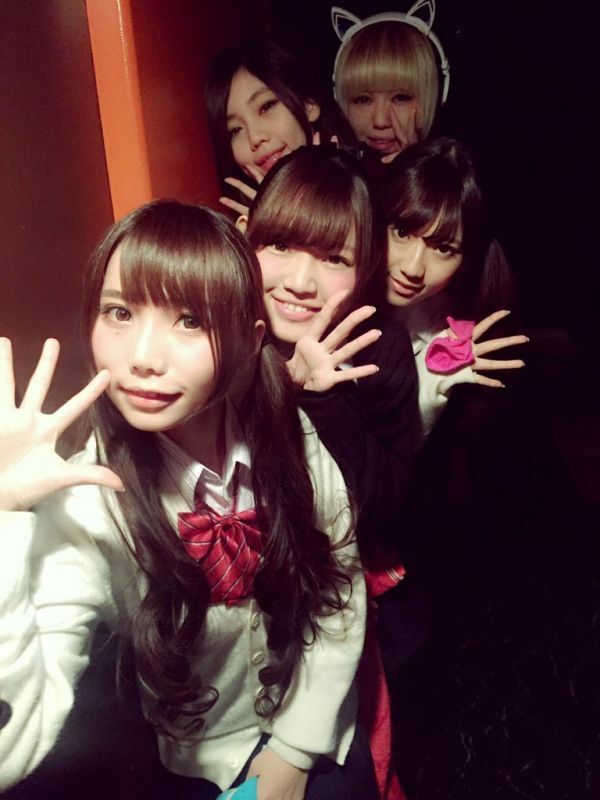 My thoughts on the second single from rock idol group DEEP GIRL. So straight off the bat I have to admit to knowing very little about DEEP GIRL. Apparently they spun out of a Fuji TV show of the same name sometime last year and have one single prior to the one I’ll be talking about today. 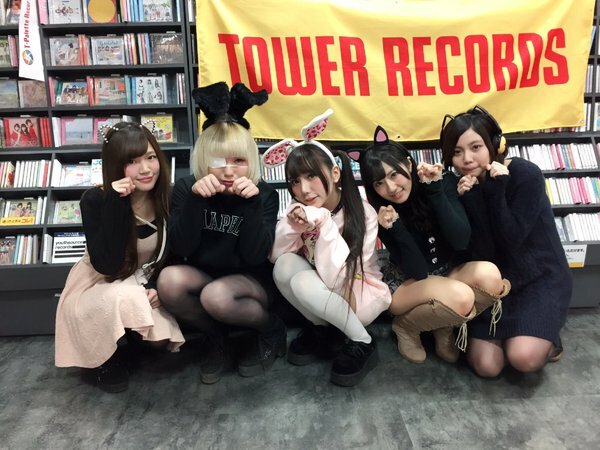 Their musical stylings appear to fall into the “Idol Rock” genre and member Suzukawa Mashiro is really popular on CHEERZ. That’s about all I know. That’s fine though, no one can be expected to know every little thing about everything after all. I mean, I guess in this fandom people expect you to but that’s not how it works in the real world. Life is about experiencing new things and constantly learning, so today I’m going to try and help all of us learn a little bit more about DEEP GIRL. Unfortunately, I can’t really comment on the b-sides to this single. Even though I can’t review either of the b-sides, going on current form I can kinda imagine what they probably sound like. The reason I can’t comment is that DEEP GIRL don’t appear to offer their music for digital download, most likely because they attach a bunch of gimmicks to buying lots of physical copies of their singles. I don’t like that strategy, but I can respect the hustle involved at least. So like I mentioned, “I kill” which kinda sounds like “ikiru” meaning to live or exist (see what they did there?) 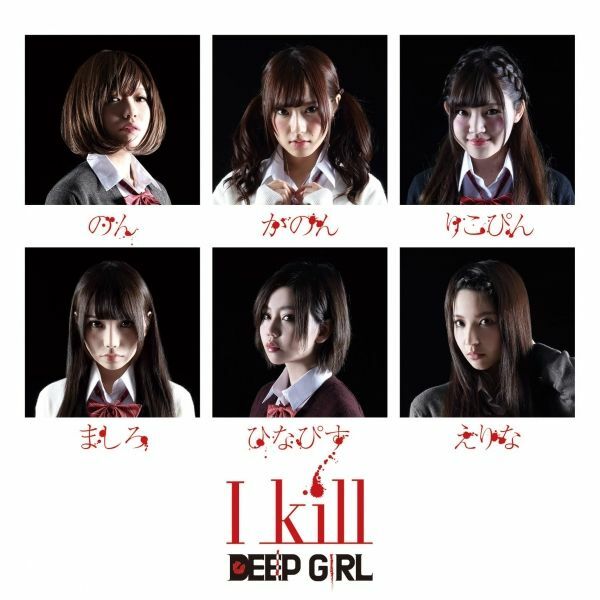 is the second single from DEEP GIRL. 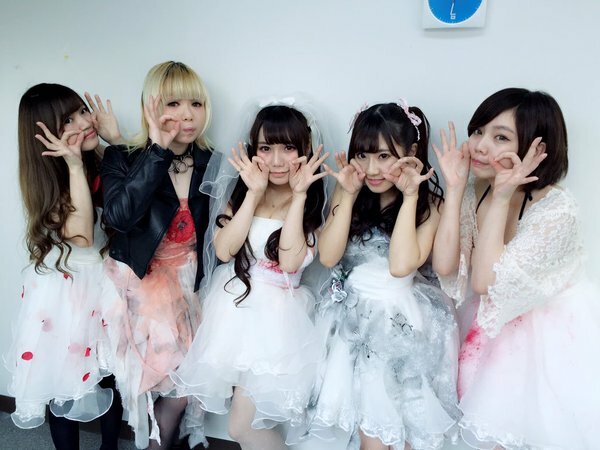 It follows on from their self-titled debut which would have seen the group disband if it had failed to rank in the top 10 of the Oricon chart. They got 13th in the end apparently, but I guess that was good enough for them to keep going. As if it wasn’t incredibly obvious from watching the PV (I don’t believe in trigger warnings so sorry about that), “I kill” is basically all about bullying and the things that typically result from it. In this case there’s a particular focus on self-harm and suicide. It’s a pretty difficult thing to watch and listen to for most people I’d imagine. The PV and song are perhaps more impactful to people who have experienced bullying and…darker thoughts, especially while growing up in what is already a pretty harsh world to live in. I’m about to go into a personal story so if you’d rather not waste your time on that, just scroll past the text that’s between the next two images. This song and PV resonate particularly strongly with me, because to an extent I know a lot of the feelings and pain that are being portrayed. I never actually got as far as inflicting self-harm or contemplating the thought of suicide. No, I’m much too much of a coward for that and I love my parents too much to inflict that kind of trauma on them. My connection to this particular release is more towards the bullying and mental health side of things. Two things that in my experience we still don’t really talk about as much as we probably should. I don’t know if people are just uncomfortable discussing stuff like this or maybe they just want to keep all the good and bad in their lives to themselves. It’s all still very real though. In my case, I think I was around 14 or so. I’m not sure where that would put me in other school systems but over here that was considered “high school”. To keep a fairly long story short, I was bullied, like a decent number of people are I suppose. It was never anything physical though and I probably was a pretty easy target now that I think back on it. You see, up until that point I was always a very serious kid. Keep your head down, do well in school, get a degree and eventually a well paying job. My skin was pretty thin and easy to get under though and maybe I let a lot of things get to me that I shouldn’t have. In my defense I was 14 and going through puberty. Anyway, eventually depression started to slip in through the cracks. I started associating school with a lot of negative thoughts and emotions and in the end just the thought of having to go there gives me unbearable anxiety. I started making a bunch of excuses not to go to school because of this, yadda, yadda, yadda. In the end I missed something like half a year or more of school. I love my parents but honestly, they didn’t know how to deal with it and they were both working 10-12 hours a day trying to provide a life for me that was falling down around me in my head. I ended up seeing a counselor, but having a stressed out and stern father had taught me not to talk about…anything really, so all that really helped me with was how to look people in the eye when having a conversation (one-sided or otherwise). After the counselor kinda gave up on me, I was sent to a doctor and put on anti-depressants of some variety or other. They were pretty good to start with because they made the bad thoughts and anxiety go away. Eventually though I just started to feel…nothing really. They worked too well in that they also blocked out almost all of the good thoughts too. I’m not sure of the specifics, but eventually I stopped taking them because feeling something was better than feeling nothing at all. Then one day I just sorta decided to go back to school on my own. I basically just buried everything as best I could in the back of my head and got on with things. I kept to myself for the most part (especially in my head) and I guess people just sort of ignored the kid with issues. Things got a little better during my remaining years in high school and I managed to “graduate” with some fairly decent test scores. So I managed to not fail out of high school somehow, but the story doesn’t have that happy of an ending in reality. Most days are still a struggle but at almost 25, I’ve managed to numb a lot of the emotions and thoughts by myself. I have an alright job and I’m still in school on and off via online classes. I’m not addicted to alcohol or narcotics as a way to self medicate either, so that’s good. Trying to fall asleep is probably the worst part my day. Laying in bed, alone with my thoughts is a pretty scary place to be mentally. As a result, I typically don’t sleep that much and when I do it’s usually at odd times of the day. I basically have to reach a point where I’m so tired that I just knock out without noticing. Otherwise sleep becomes impossible. I can never have too many distractions in my life, be it music, writing, gaming or whatever. Not really sure why I felt the need to include this. I’m certainly not looking for your sympathy. I guess in the end I hope that maybe someone will read this and it’ll help them in some way, shape or form. If nothing else, maybe they won’t make all of the mistakes that I made and end up as screwed up inside as I am. Anyway, thanks to everyone who took the time to read this pretty depressing personal story. Back to the review. If you bothered to read all of that then you’ve probably figured out that one of the things I like the most about “I kill” is that it’s attempting to shine a spotlight on some very difficult topics. Topics that Japan especially doesn’t do a very good job of talking about, not that other countries are without fault on the matter either. I’m not sure if any of that is even intentional to be totally honest with you, cynicism is another of my many flaws you see. I mean, this could just be some kind of soulless art piece with “cool” or “edgy” visuals. Maybe I’m just reading too much into it because I have a personal connection to the subject matter. It is the entertainment industry after all, but even if it just gets a handful of people watching or listening talking about mental health and self-harm then I think there’s some good in there. To try and steer this back toward some resemblance of a review, I do really like the song from a musical standpoint. When looking into DEEP GIRL before writing this review, a lot of the music I heard was pretty by the book idol rock. It’s something I’ve enjoyed a lot in the past but at this point I’ve heard so much of it that I’m kind of over it. You can hear it in the parts of “I kill” that don’t sound weird and uncomfortable. Speaking of which, those weird and uncomfortable parts are the elements of the song that I enjoyed the most. Speaking from experience, that’s a pretty accurate representation of what goes on in your head on a “bad day”. It’s kinda weird that I can enjoy something that hits so close to home from an artistic viewpoint, huh? I guess that just goes to show how much difference putting a twist (it’s not even that original of a twist) on something basic can make. If this was just any other idol rock song then I doubt I’d be sitting here writing about it or telling a long personal story either. This is the kind of thing, for better or worse that you have to do to get people interested and talking about you. In that regard, you have to give a lot of credit to both DEEP GIRL and all of the people responsible for putting this song and video together.